We are sad to report that Dr. Venema passed away in his sleep suddenly and unexpectedly on 6 October 2001. He was born on 3 July 1916 in Amsterdam and obtained his PhD through research on cosmic radiation in Amsterdam. He started his career at Philips Research Laboratories in 1946 and from 1956 he was a group leader involved in the development of vacuum, thermal emission and cathodes. He developed mercury diffusion pumps with which he achieved pressures of 10-10 torr. He was a founder of the Netherlands Vacuum Society (NEVAC). 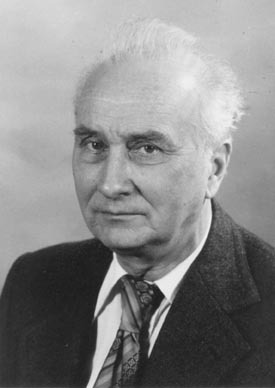 He was also a Founder Member, and later was made an Honorary Member, of the IUVSTA in recognition of the important role he played in the foundation of the IOVST (International Organisation for Vacuum Science and Technology), which later became the IUVSTA (International Union for Vacuum Science, Technique and Applications). His continuing service to the IUVSTA included terms as Scientific and Technical Director from 1965 to 1971 and President from 1974 to 1977. He was involved in the organisation of many international meetings and was known for his excellent talks in English, French and German. Executive Council members of the IUVSTA will remember his recent attendance at ECM-84 in Namur in March 2000 for the special IUVSTA history session which had been organised to commemorate the original founding of our predecessor body in Namur in 1959.